Today is "Kiss Your Mate Day". And just so you know, this day is legit..I didn't make it up! Google it! 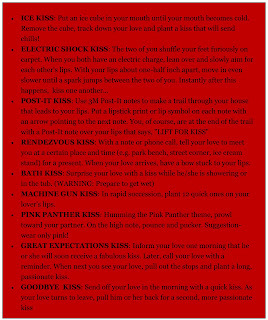 Anyway---KYM Day sounds simple enough, but I have a few suggestions to make your kisses just a little bit better! 1. 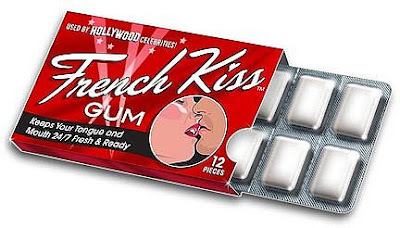 French Kiss Gum - Be sure you're kissably fresh next time you kiss! This gum is really strong and really good tasting. It's designed to obliterate odors in your mouth... Supposedly it is used by hollywood celebrities before kissing on camera. Order online HERE. Put a pack of these bad-breath-busters in your Romance Kit! 2. SoftLips - Mmm...love this stuff. I have a history a biting my lips so this stuff saves me! and..it's CHEAP! 3. 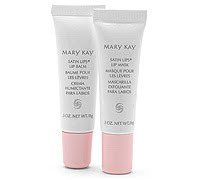 I am a huge fan of MaryKay when it comes to SatinLips or SatinHands. They can be a bit pricey, but host a party and maybe the consultant can hook you up with a good deal! So, I compiled a list of kisses for you...I'll bet you never knew there so many types!! Some you may be familiar with and others....not so much. These ought to keep you busy for a while! That's all I've got! Now, go Kiss Your Mate!!! Such a great looking site. Found you over at SITS. I think I will add your button to my site. It is so cute. I have a question. I have a button as well and the person was able to add the code underneath it but couldn't figure out how to create that little box around the code like you have. Who did that for you? fun ideas :) we likey. This is a simple way to "celebrate" our love for one another. I just combined this with your text post-idea and promised my husband we can "celebrate" this day when I get home... something for him to look forward to! Also, I have an "Attitude of Gratitude" award for you on my blog. I will be visiting your blog often, as a mom to many I am always looking for more ways to add romance and I am lovin' your ideas. DID it, loved it, THANK YOU! How about the butterfly kiss. lean in to your lovers cheek and flutter your eyelashes for the butterfly kiss.